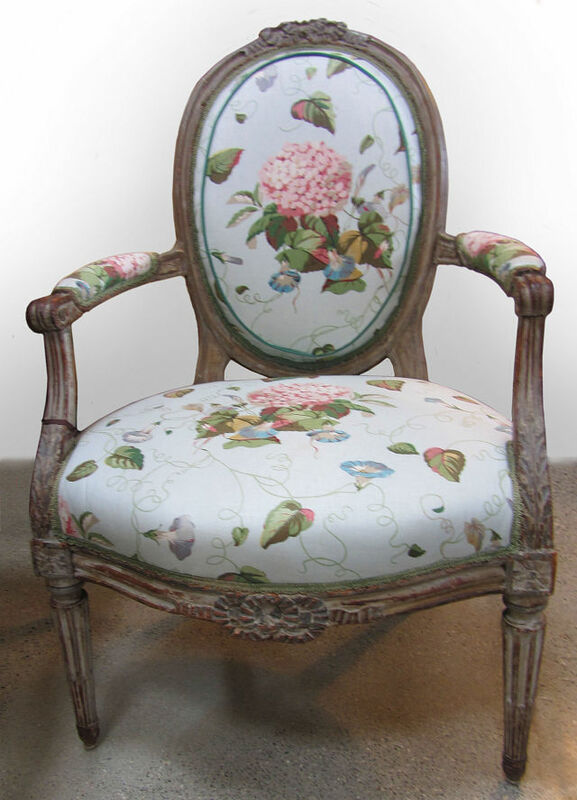 Pair of French Louis XVI period chairs. Beechwood frames have traces of their original greige paint. Now with floral chintz covers.